`RX100` is a Bold and Intense Action Romance!. Shiva ( Karthikeya) loses his parents at a very young age and gets raised by Daddy (Ramky). Both of them are followers of Vishwanatham ( Rao Ramesh) who is Athreyapuram`s ZPTC. Indu (Payal Rajput), Daughter of Viswanatham in the village for holidays, falls for Shiva. Their Relationship turns intimate and Shiva asks Indu to talk to her father about their future. But There is no happily ever after`s in real life and the rest is about how their saga ended. It is hard to imagine that Karthikeya is just a debutant. He has excelled as shiva and did a good job in a very demanding role with varied emotions. Payal Rajput is even better and is nothing short of brilliant in a Daring role which most actresses will most definitely shy away from. Ramky gets a meaty role as well as Rao Ramesh and both are good too. Editing: Adequate, could have been great with few more cuts. `RX 100` is a Bold and Intense Romantic Saga with loads of Action and a stunning twist!. The film is aimed at youth & masses and it is unapologetic-ally Bold about its Romance and Action. It has no inhibitions about its characterizations and doesn`t follow stereotypes. Its Bold, Raw and Gripping narration keep the film going right through despite getting slow at times with dragged episodes. 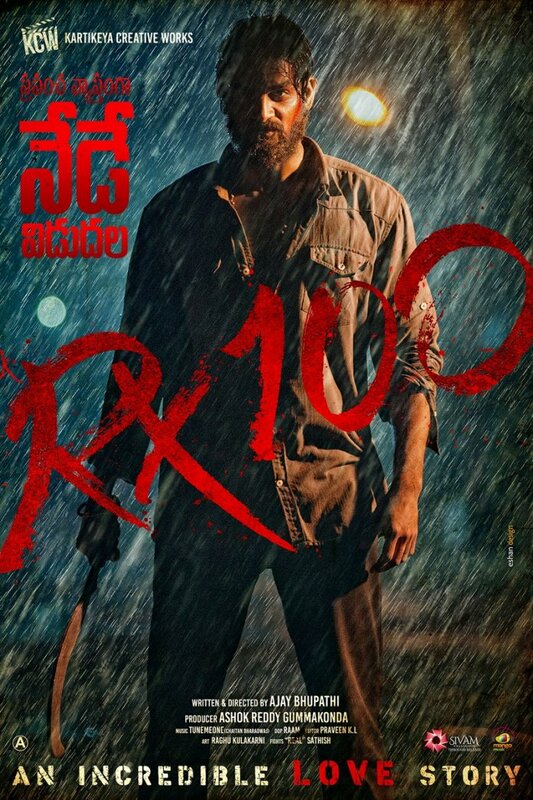 `RX 100` has an unpredictable narration to a major part and this is what works for the film well in the end. Go Watch It!. The film is receiving Good reports from the paying public and is off with great openings. A Sure-shot Blockbuster.